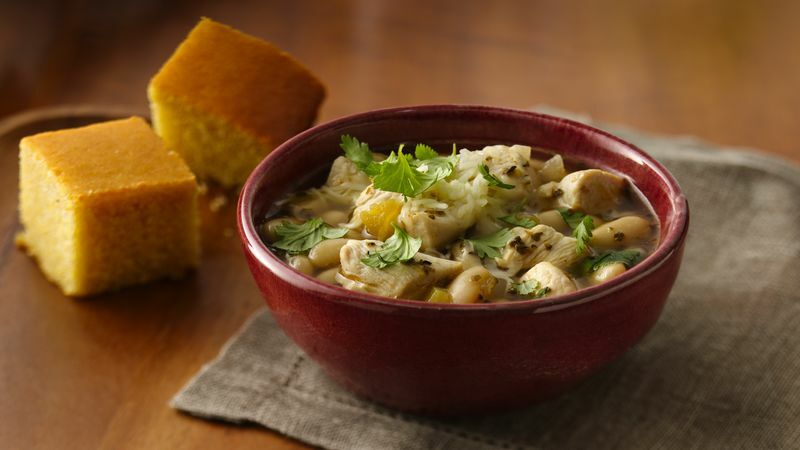 White chili--usually made with white beans, chicken and chilies instead of red beans, beef and tomatoes--is still packed with plenty of spicy chili flavor. You can add more kick by increasing the amount of red pepper sauce. Keep a package of frozen diced cooked chicken in the freezer. It's a lifesaver when you're in a hurry and don't have time to cut chicken into pieces.